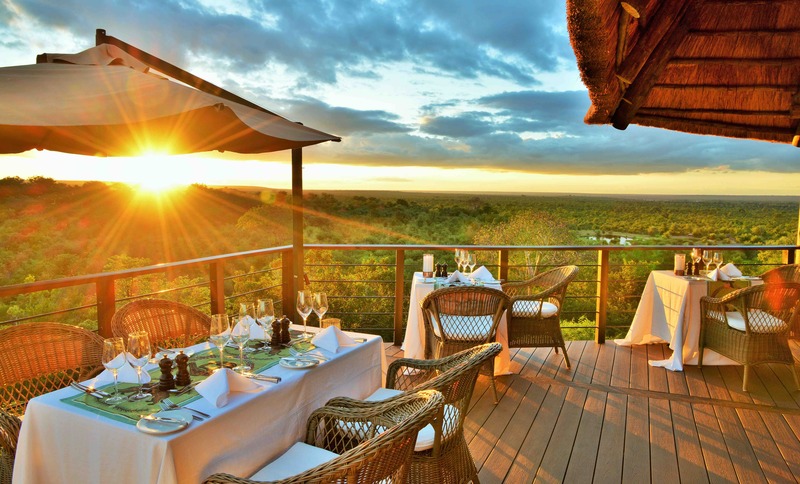 Leading UK newspaper The Telegraph has named three Africa Albida Tourism properties – Victoria Falls Safari Lodge, Victoria Falls Safari Club and Ngoma Safari Lodge, in Chobe, Botswana – in their Best Hotels in Africa list. It comes at a time when Zimbabwe is already experiencing a surge in tourist arrivals, which is expected to continue, with three iconic travel guides – Frommer’s, National Geographic Traveler and Lonely Planet – listing the country as a top destination for 2019. In The Telegraph’s list, both Victoria Falls Safari Lodge, described as having “fabulous sunset views and a waterhole in the ground frequented by wildlife”, and the 20-room luxury boutique Victoria Falls Safari Club scored 8/10. Meanwhile, Ngoma Safari Lodge where “zebras and giraffes wander past the panoramic window of your stand-alone luxury suite which overlooks the Chobe River floodplain” scored 9/10. Africa Albida Tourism (AAT) chief executive Ross Kennedy said it had been an incredible year for Zimbabwe tourism, and for the hospitality group. “Destination recognition keeps rolling in, and we are so proud to see this specific acknowledgment for three of our properties in The Telegraph. “There is a very apt saying that states: ‘You will be measured by the company that you keep’. In this case, we are thrilled to be on the same list and in the company of so many of Africa’s great properties across the continent. “We continually seek to enhance our products and the experiences offered to our guests and that ethos will continue long into the future,” Mr Kennedy said. Other Zimbabwean hotels to make the list were Singita Pamushana Lodge, Bumi Hills Safari Lodge, Camelthorn Lodge, Chikwenya, Amalinda Lodge, Zambezi Sands River Camp, Matetsi Victoria Falls, Bomani Tented Lodge, Zambezi Expeditions, Davison’s Camp, The Victoria Falls Hotel, Somalisa Acacia, The Elephant Camp, Camp Hwange, Little Gorges, Gorges Lodge, The Hide, Ruckomechi Camp, Khulu Bush Camp and Flatdog Lodge. Both Frommer’s and National Geographic Traveler have listed Zimbabwe as one of the 19 must-see destinations in the world in 2019, with the latter placing it at number 9, the highest ranking for any African country. Lonely Planet, another leading travel guide, listed Zimbabwe as the third destination of the top 10 countries in Best of Travel 2019 list, stating, “Not only is it one of Africa’s safest destinations, it’s one blessed with ultra-friendly locals, Big Five-filled national parks, World Heritage-listed archaeological ruins, forested mountains and, of course, the mighty Victoria Falls”. Frommer’s cited political stability following the change in leadership in the country, easier access with the expansion of Victoria Falls International Airport, and relative affordability, combined with the allure of wildlife and the world’s largest waterfall. National Geographic Traveler said “Zimbabwe’s new president, Emmerson Mnangagwa, seems keen to invest in tourism. And while there’s been economic and political turbulence, the safety of tourists hasn’t come into question”. It added that Gonarezhou National Park should not be missed, for wildlife-viewing and semi-luxury camping, and that Zimbabwe is selling itself as a tourist destination par excellence with at least five World Heritage sites.